Many people use decorative bottles to hold cooking oil, vegetable oil and vinegar. 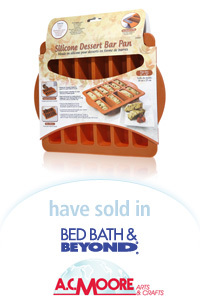 Although there were pouring spouts available for the bottles, none of the spouts on the market made the bottles spill proof — until now. 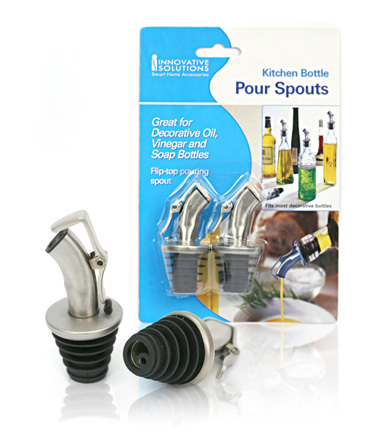 Davison’s design team developed the Kitchen Bottle Pour Spouts for a corporation that wanted a spill proof pouring spout for decorative bottles. The designers created a cap with a spring mechanism that makes pouring oil a breeze while preventing the oil from spilling if the bottle is knocked over. The user-friendly cap also can be locked in the open position and released with one hand. Baffled rings on the rubber tip enable the cap to fit snugly on bottles of various sizes, so the contents always stay fresh. In addition, we made the cap easy to manufacture to keep the price down. The stainless steel appearance complements any decorative bottle or display area.